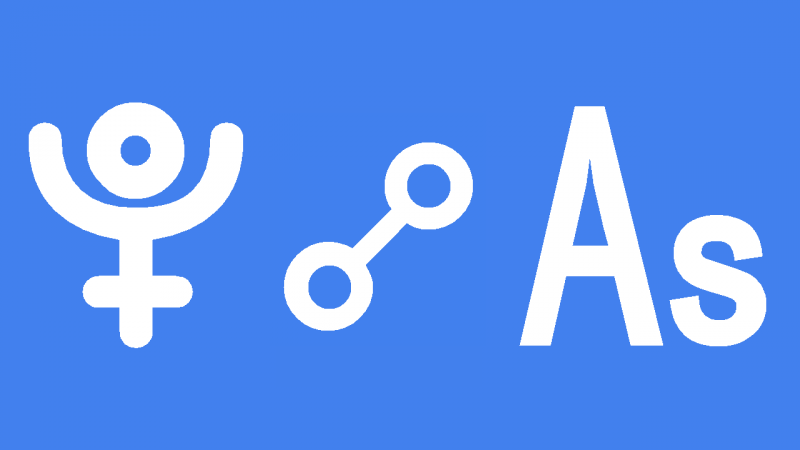 Pluto opposite Ascendant in the natal chart is also called Pluto conjunct Descendant or Pluto setting. It means you have intense one to one relationships which can profoundly change your life’s direction. You also have a powerful influence on family members, close friends and partners. To say that you need companionship is a big understatement. You could have a compulsive need for partnership and can become obsessed with a certain person until they are yours. It is also possible that you attract obsessive compulsive types of people or even stalkers. It is important that you have high regard for yourself. If you do have poor self-esteem then it is extremely important with natal Pluto opposite Ascendant that you work on becoming more confident and self secure. Otherwise your deep need for companionship may cause you to lower your standards and form unhealthy relationships. In extreme cases you could actually seek manipulating or abusive partners. If your intense need for a partner combines with your fascination with the dark side of life then you could end up associating with addicts and criminals. There is a tendency with Pluto conjunct Descendant to enter into codependent relationships. These are unhealthy partnerships where one person has all the power and control. Physical and emotional abuse would destroy the little self-esteem you have. A critical point would then be reached where an intervention, dramatic event or violent incident forces you to recognise and admit you have a psychological problem and seek help. Pluto destroys to renew and you have great recuperative powers. If your self-worth or relationship is destroyed you have the power to transcend the pain and totally transform yourself. Personal mastery means regaining your inner power and controlling your own destiny. Depending on other aspects to your Ascendant and fixed star conjunctions, you will hopefully never be taken through the underworld and used and abused by a partner. Experiencing the positive side of natal Pluto opposite Ascendant will still involve intense power and control struggles but they do not have to be destructive to your self-esteem and physical body. You may find yourself in relationships where you exert all the power and influence. If you abuse your power by manipulation or intimidation then you can count on being taught a painful lesson before too long. Perhaps you will recognize any controlling behavior and try to evolve to a higher level all by yourself. Whatever the case, intense power struggles or painful separations will bring positive change and transformation in how you relate at the intimate level. More positive manifestations of Pluto conjunct Descendant include forming profound connection with people that are too deep for words to explain. There is a chance you could marry a powerful, wealthy or famous person. On the other hand, your positive influence on a partner could help make them successful, powerful or rich. There is a very good chance that your life will be positively transformed by someone who changes the course of your life. Your relationship with a marriage or business partner could develop into a successful business venture that gives you more power and influence, and of course wealth. Perhaps you will become influential or important in some other way as a couple. Or maybe your idea of a rich and successful marriage is having healthy happy kids and a comfortable home. Transiting Pluto opposite Ascendant is sometimes called Pluto conjunct Descendant transit. It means that one to one relationships will become more intense and will have a far greater impact on your life. Your relationships will be transformed but so will how you relate to close friends and family members. It is likely that your expectations of your partner will change. If you are married or in a similar relationship then powerful forces or a dramatic event will change the relationship dynamics. For example, a change in your partner’s career may affect the power balance of the relationship. It could increase your partner’s self-esteem while lowering yours. If your relationship was already challenging, Pluto opposite Ascendant transit could result in separation. A healthy relationship should survive although it will have transformed in some significant way by the time this transit is over. It is common with Pluto conjunct Descendant transit for a significant new relationship to begin. A new person entering your life now would very likely be a strong driver of change in your life. They could positively transform you as a person or totally change your life’s direction. As a result of this person’s influence you should enjoy more personal power and influence. There is a chance of a one to one relationship with someone who wants to damage your marriage, reputation or career prospects. They might feel threatened by you or be jealous of you. It is also possible that you may choose to target someone you feel threatened by or because of revenge. An openly confrontational relationship with an enemy will certainly transform how you relate to others. This can be a positive experience if you have always been submissive or abused. A conflict during this transit will force you to be ruthless and more powerful. You may be surprised just how strong you can be when you stand up for yourself. If you personally attack someone without just cause then this transit could negatively transform your life. If you have a history of mistreating your partner or denying them their human rights, you will likely suffer through this transit. The same applies if you have bullied a particular person. If you have abused your power over an individual, this could be the year to make up for it through humiliation, loss of power or prestige, pain or some other form of punishment. Liberace 0°10′, Brenda Frazier 0°11′, August Bebel 0°13′, Tammy Wynette 0°28′, Yehudi Menuhin 0°46′, Antonio Banderas 0°51′, Arnold Bax 1°04′, Ronald Reagan 1°09′, Paul Newman 1°12′, Jane Fonda 1°17′, Titus Salt 1°20′, Andy Gibb 1°21′, James Croll 1°27′, Lorenzo Carcaterra 1°31′, Whitney Houston 2°36′. Hello Mimi- the imbalance. What is that difficult in the “Libran” house with intense Pluto there. Hello Jamie! This is my life assignment so I gladly read up on it. After being widowed at a realively young age, I never went into a relationship again. The power was given to the husband leaving me dangerously drained. I think long-term. relationships are a life-investment not a stop-gap. Transit Uranus conj natal Venus hasn’t been painful due to good astrological advice. These transits are generally not for keeps and Pluto is not interested in that uncertainty. Greets!